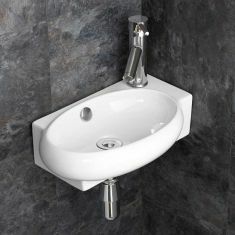 A Wall Hung Basin is for mounting directly on to a wall or shelf. 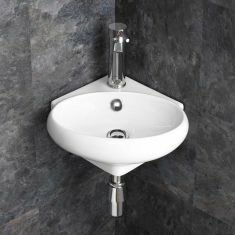 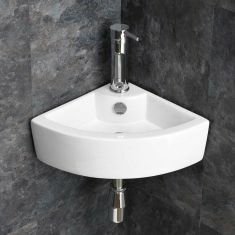 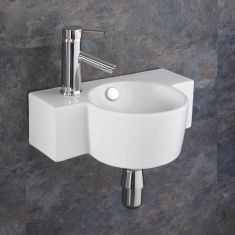 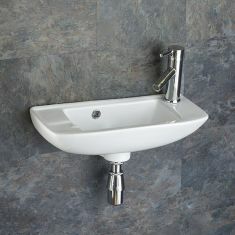 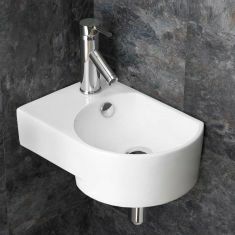 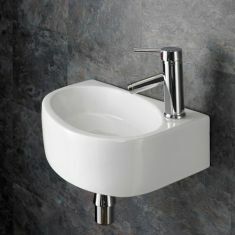 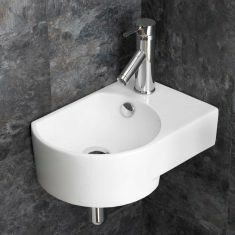 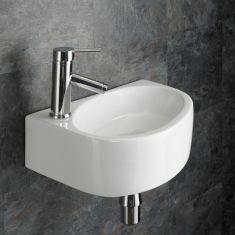 Wall Mounted Basins are a very good option if space is at a premium in an ensuite or Cloakroom Bathroom. 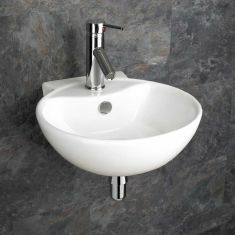 The basins are very neat and are supplied with fixings. 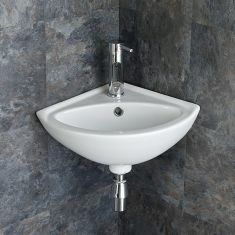 The modern design of our Wall Mounted Basins remove the need for a more traditional pedestal mount. 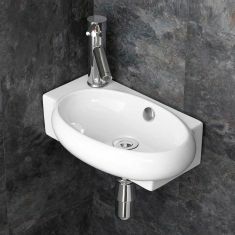 A design that now proves to be very popular and practical. 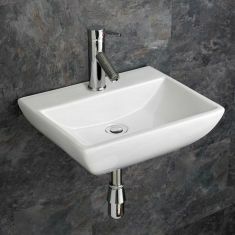 Most Wall Mounted Basins will be supplied with one tap hole to allow a top mounting Mono Basin Mixer Tap and the basin is to be completed with a neat and effective Pop Up Push Click Waste Plug. 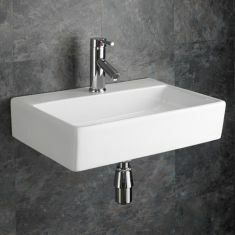 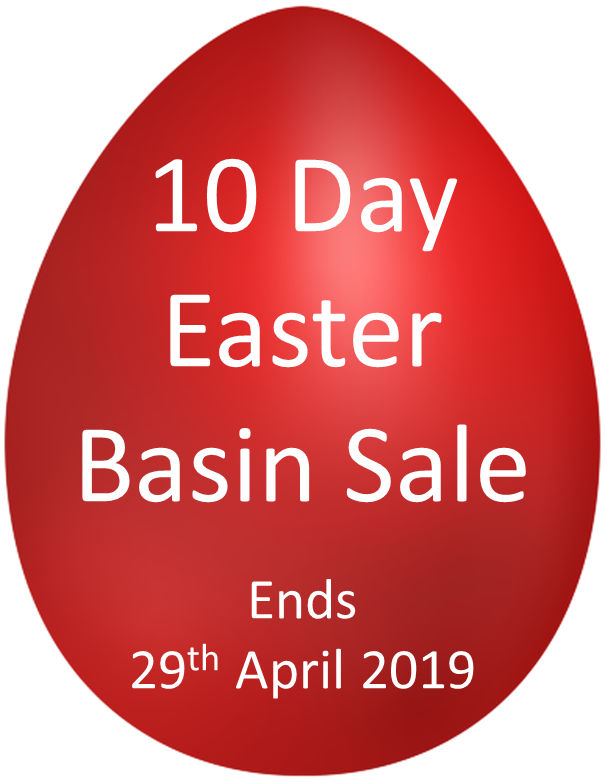 We sell all of our Wall Hung Basins individually or at a reduced price ‘All in One’ package as a set to include a High Quality Mono Mixer Tap and Related Push Click Waste. 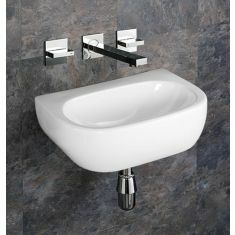 The Basin + Tap + Waste Sets are also listed above.